series of 27 (and counting!) webpage-lessons, exclusively available to Musicarta Patreon Tier One subscribers. Every modern keyboard player should be able to find and play chords as easily as a guitarist, and be capable of supporting a melody with the right inversions and a left hand accompaniment played from chord symbols. 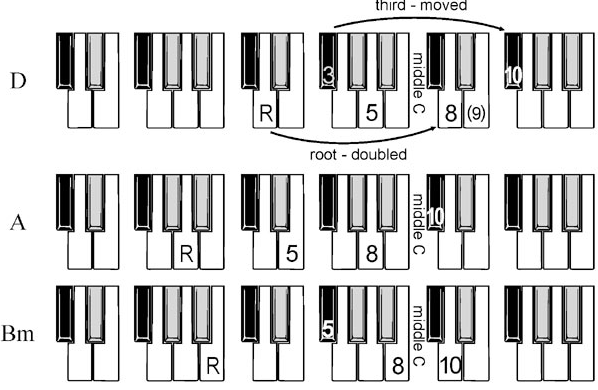 This Musicarta Patreon Chords 101 sampler page presents brief descriptions of the eight series of pages linked in the right hand series navigation pane. Most pages have comprehensive video teaching content; a few (where sufficient) have just audio examples. 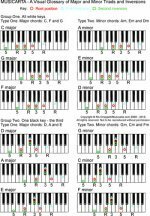 Please browse the sections below to see how a Musicarta Tier One Patreon subscription can help your creative musical life keep moving forward with a comprehensive understanding of chords and a varied selection of learning tasks to boost your keyboard chord fluency. Most of the links below take you to the Musicarta Patreon home page, where you can sign up and get started right away! compose-at-the-keyboard home study course - plus a growing selection of other creativity kick-starters and improvisation springboards. 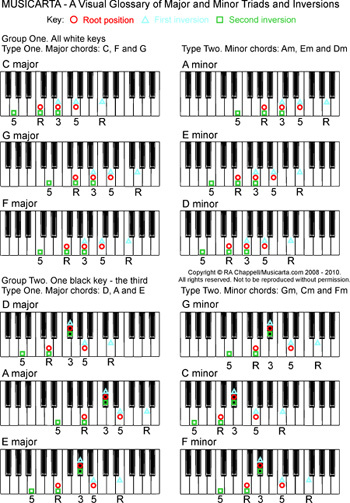 The Musicarta Keyboard Chord Generator is a two-page at-a-glance visual chord glossary which groups the 24 major and minor triads according to how they look in terms of the black and white keys used. The Chord Generator shows root position, first inversion and second inversion triads coded by shape. This new approach helps fast-track you to ‘seeing’ the chords you need right there in the keyboard. Click through to the Musicarta Keyboard Chord Generator page for an explanation and ways of getting the most out of this great tool - plus your Patreon Premium download link. This one-page standalone module gives you an in-a-nutshell audio explanation of major and minor triads. Keyboard musicians who aim to be able to ‘just sit down and play’ need to know this material inside out. You will find this module a good opportunity to refresh and consolidate your knowledge. 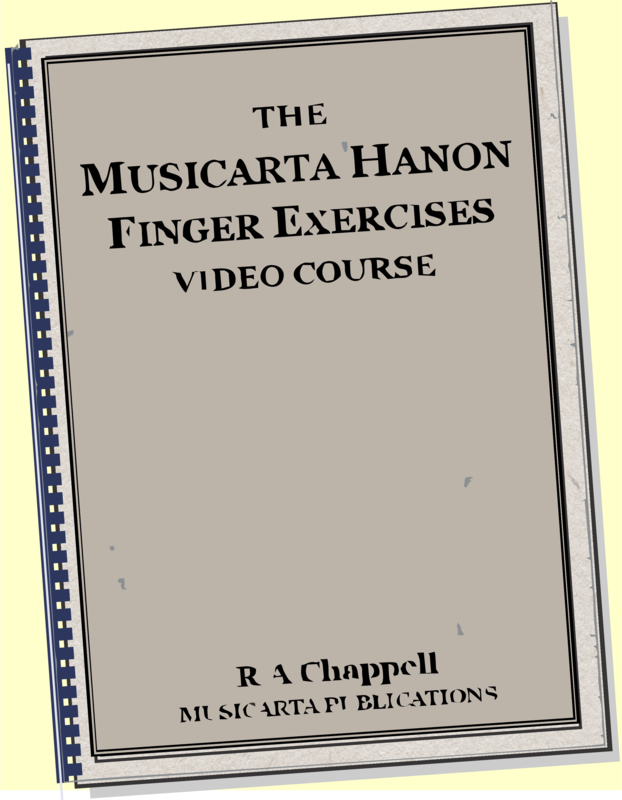 Click through here to dip into the Major and Minor Chords module. Even the most basic chords appears in three guises! They can be turned upside down ('inverted') so any of its three notes is at the top. In popular music, the keyboard player often plays the melody note at the top of a three-note right hand chord (triad). These chords are more likely to be inversions then the basic easy-to-recognize root position chord - the other inversions are nicer on the ear. So you need to be able to make inversions from the easy-to-find root position chord, or from a chord symbol, on demand. 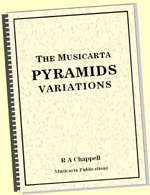 Here's a demonstration video of one of the Musicarta inversions drills in this series of pages. Click through to the first module in the Musicarta Patreon sign-up page and discover the most efficient way to work towards lightning-fast triad mastery. There are three simple triad shapes – root position, first inversion and second inversion. 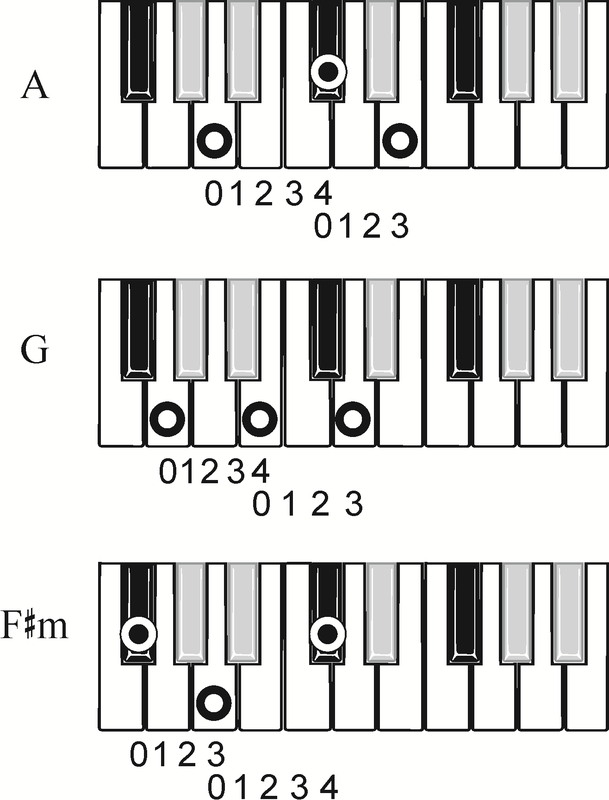 A good modern-styles musician, playing in a particular key, will be able to quickly get his/her fingers to any of these three shapes using that key’s scale tones and built either up or down from any note. The triad shapes drill is the kind of exercise you would use to make sure you can do that. The challenge, initially, is simply to keep going, but when you come to play the drill in the sharp and flat keys, it becomes much more about knowing your keys, and navigating the black keys. Anybody who aspires to ‘just sit down and play’ should work through this drill a few times in all keys, and come back for a refresher from time to time. It's a great drill for when you only have a few minutes to practice - or simply renew your acquaintance with your keyboard! Keys do feel different under the fingers, and you get to know them. With enough work, you will hear the notes before you play them – the foundation of all playing by ear. Click through here to access your Patreon Premium Triad Shapes Drills. An attractive and unmistakable component of a thousand pop hits, suspensions are a great way of getting more out of your chords. Find out just how - in practice and theory - in the new Musicarta Patreon Suspensions page series. 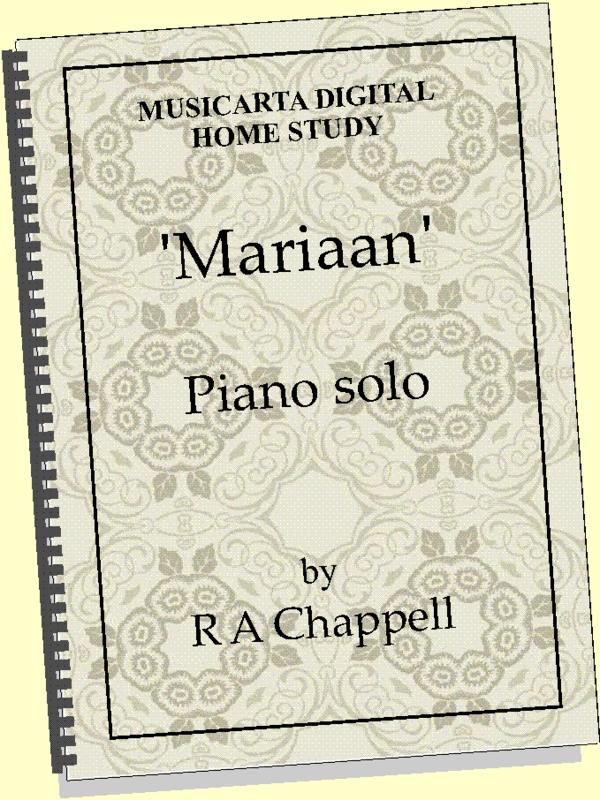 Here's a rocking piano solo which uses suspensions intensively. Make suspensions your focus for a week/month or two, and your creative music-making is bound to take a great leap forward. Seventh chords make music sound interesting - jazz and all sophisticated popular music uses them a lot. Whether you’re interested in music theory or not, you need to be able to find the five types of seventh chord from chord symbols, 'just like that'. Seventh chords easy to learn them if you're methodical. Musicarta's Seventh Chords Patreon Premium page offers a drill which will set you on the right track. Here's a sample of the practical learning you'll be doing. Sign up for Musicarta Patreon Tier One membership and make a start on those seventh chords right away. Broken chord patterns are where you practice your inversions. Your right hand climbs up and down the keyboard getting the feel of the inversions while your ear absorbs their sound. Time spent practicing broken chords is never wasted. Traditional piano lessons usually cover broken chord patterns but only as an exam requirement, and without really exploring how close broken chord patterns are to 'real music'. Here's a broken chord study that will 'make learning fun' - no kidding! Don't panic! Click through to access the Patreon Premium Broken Chords page for a much gentler introduction and some basic broken chord practice patterns to get started with. Most pieces of music have a musical ‘background’ which supports the melody. 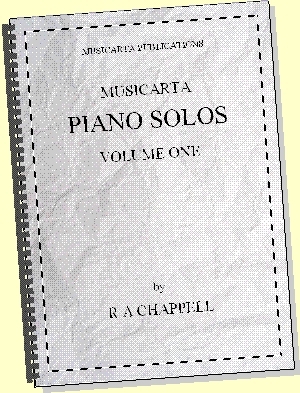 In solo keyboard styles, the left hand often supplies this supporting texture - which is essentially a broken chord pattern - and the successful modern keyboard player needs to be able to devise these accompaniment patterns, often from chord symbols alone and ‘on the fly’. Accompaniment patterns can easily be made from the root, the third and the fifth of the chord, but they have to practiced until they’re ‘practically automatic’ and carry on coming regardless of what the right hand is playing. Perhaps the most useful example is the root-fifth-octave-tenth accompaniment pattern. 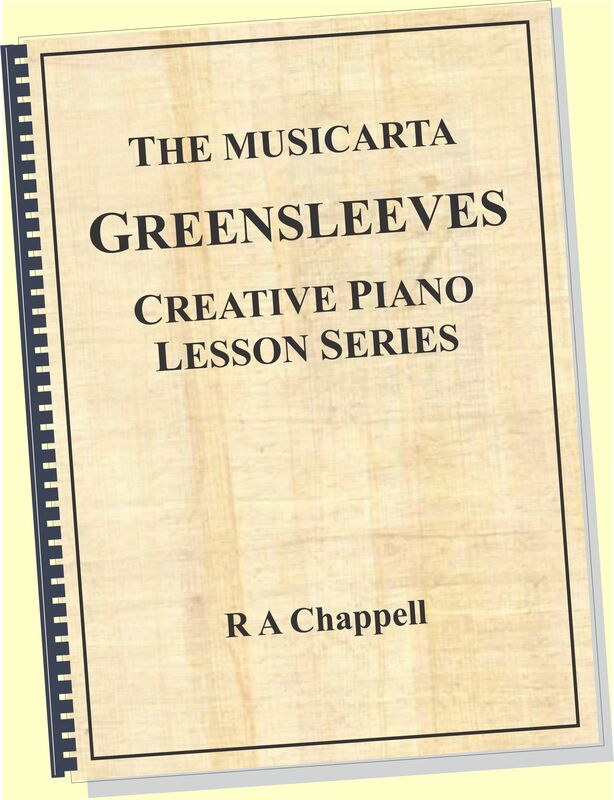 This Musicarta collection of accompaniment practice patterns will show you how to build them and practice them, using the chords of the Pachelbel Canon in D.
Mister Musicarta often says that becoming a really useful musician is more like going to the gym than you might think! Click through to the new Accompaniment Practice Patterns module now, and get in training. The Roman numeral system of naming chords takes you to the heart of how music works. It lays bare the mechanics of harmony, since it talks about chords ‘in all keys at once’, or 'in any key'. The Roman numeral system is simple and logical and not too difficult for beginner-to-intermediate pupils. 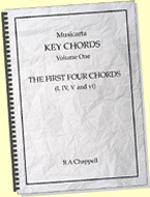 Because the Roman numeral system (RNS) designates ‘the chords in any key’, it is central to the business of transposing (playing a piece of music in a different key - often 'on the fly'). Transposing is something you need to do to understand, and the RNS, ti use, likewise. 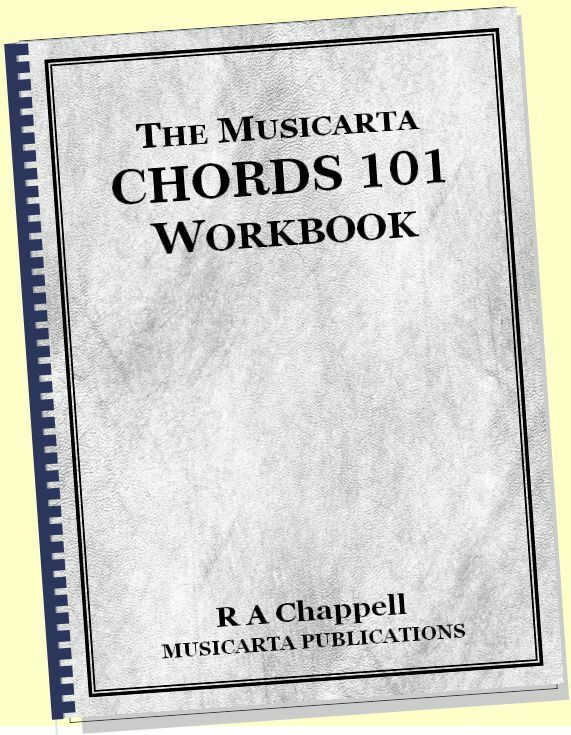 That's why you'll find Musicarta’s description of the Roman numeral system of naming chords located in Part One of the Musicarta Canon Project ‘Transposing’ mini-series. Musicarta's Chord Progressions series offers another prime opportunity to use and understand both the RNS and conventional chord symbols in parallel. Link through for a look at the series here. 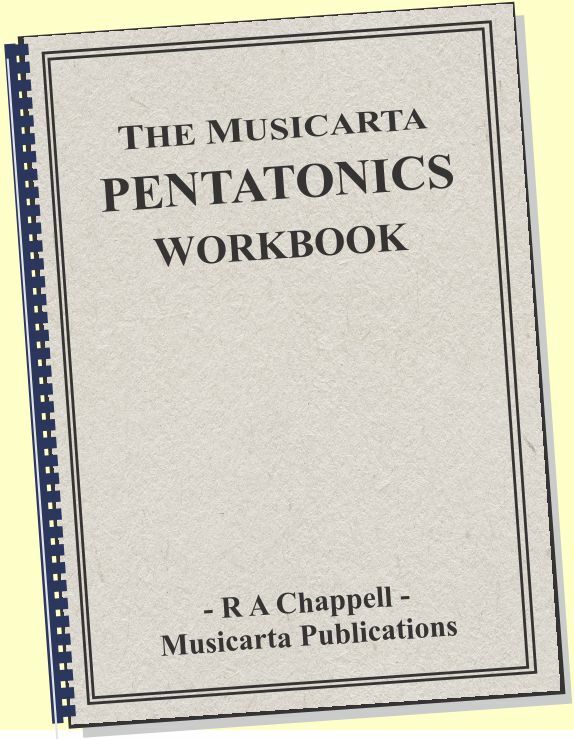 NOTE: Patreon Tier One subscribers automatically get a substantial discount on all Musicarta home-study courses not (yet!) available via Patreon. Use the discount codes you receive when you sign up on the discount sales page. There's a LOT of learning material here! In order to profit from it, you will want to work through it a bit every day - like taking a food supplement. Learning creative keyboard basics is a bit like moving a pile of sand from one side of a room to the other - with a teaspoon! It seems daunting, but one pile gets smaller and the other gets bigger - and, one day, just can 'just do it'. "A journey of a thousand miles..." starts with finding your shoes! Click through! The perfect pair is waiting! When you become a Musicarta Patreon subscriber, you'll find all your exclusive Musicarta Patreon content linked here.